Earth Day Southern Tier is a local, all volunteer, program of the Binghamton Regional Sustainability Coalition. We are dedicated to environmental conservation by providing education, information and the opportunity to dialogue with knowledgeable people about environmental issues. Earth Day Southern Tier was established in 1990 to commemorate the 20th anniversary of Earth Day. We have held our annual Earth Fest in a variety of venues. The history below gives a feel for what the fest was, is, and can be! 1990 - A week of celebration ends in a weekend of rain and a wonderful festival at the zoo. 1991 - Speakers at Binghamton University from Alaska focus on experiences of the Native American population in the region. 1992 - Model Community Project features green homes, buildings, and exhibits. 1993 - Fest is postponed for one week due to flooding. Events include landfill tours and US Postal Service Earth Day stamp. 1994 - The Blue Planet highlights our groundwater, streams, rivers, and oceans. 1995 - Trees is the theme for the 25th Anniversary of Earth Day; additional USPS Earth Day stamp. 1996 - Our Earth, Our Home with Earth Week at Binghamton University and presentation by writer/activist Lois Gibbs. 1997 -At the Confluence showcases the unique position of Binghamton at the intersection of the Susquehanna and Chenango Rivers. Author and speaker Rick Marsi signs copies of his new book. 1998 - Eco Café features live music and organic food buffet. 1999 - Exploring the diverse topography and biology along the river; the Eco Café returns. 2000 - Live shows by the Ithaca troupe “Compost Theater”; local authors sign copies of newly released works. 2001 - Variety performer Jack Golden, aka Dr. T., in “Garbage is my Bag”; also a live bee colony. 2008 - Inaugural River Trails Bicycle Cruise to Otsiningo Park along with the usual but never ordinary selection of musicians, performers, activities, and food in a neighborhood setting. 2002 - Native American opening ceremony, vegetarian food buffet, alternative building methods. 2003 - Dr. T. returns, bio-diesel vehicles on site. 2004 - Events include the Drumcliffe Irish Dancers, Native American crafts, magic shows. 2005 - Bio-diesel and alternative fuel vehicles and solar cars produced by area high school students. 2006 - Demonstrations and discussions concerning alternative building methods. 2007 - Straw bale presentation area constructed and utilized on-site. 2009 – Earth Day Southern Tier’s 20th anniversary celebration included the 2nd Annual River Trails Bicycle Cruise and the naming of Assemblywoman Donna Lupardo as the Fest’s honorary chair. 2010 - Theme was “Healthy Planet, Healthy People.” The 3rd annual River Trails Bicycle Cruise and live outdoor music ranging from indie rock to New Orleans jazz. 2011 - Award-winning documentary “The Economics of Happiness” was shown along with a continuation of recycling of white goods in Gary’s rolloff 4th annual River Trails Bike cruise. Six bands played life outdoors while Scott and Dave Bagg performed acoustic sets in the Nezuntoz Deli. 2012 - The 23rd annual Earth Fest scheduled for the MacArthur Park and School was cancelled due to extensive damage done by spring flooding. 2013-2017 - Earth Fest moves back to SUNY Broome, EDST partnering with the college, Ross Park Zoo, the Discovery Center, and Roberson Museum. 2013 - The Ecology club coordinated a book exchange and the National Collegiate Clothing drive. The Roberson Center had planetarium shows and a children’s hands-on crafts table on the water cycle. The Binghamton Zoo provided its Zoomobile on the Zoo’s annual Grand Opening featuring the sea otter. The BC Trolley transported attendees from one venue to the other. 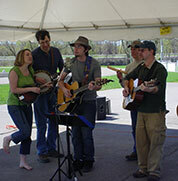 The River Trails Bike Cruise was back, as well as six bands playing music from bluegrass to Celtic music. 2014 - The Ecology Club coordinated a book exchange, clothing drive, and electronics recycling event. The Roberson Center held a planetarium show and children's craft table. The Binghamton Zoo had their Zoomobile at the Fest and The Discovery Center featured the exhibit "What's the Buzz" focusing on the importance of honeybees. The BC Trolley continued its free ride to transport attendees from one venue to another along with the River Trails Bike Cruise. Live music performances from local student groups joined the vendors. 2015 - Another great year with all of our partners. Food was provided by Nezuntoz and along with great music such as Johnny Only and local groups. We continued the free trolley to connect events with our partners at the Binghamton Zoo, Roberson Museum, and Discovery Center. The electronics recycling was a hit along with clothing donations for Coats N Clothes 4 kids. 2016 - Our large crowds of over 800 guests, including families of all ages enjoyed music entertainment and delicious food. 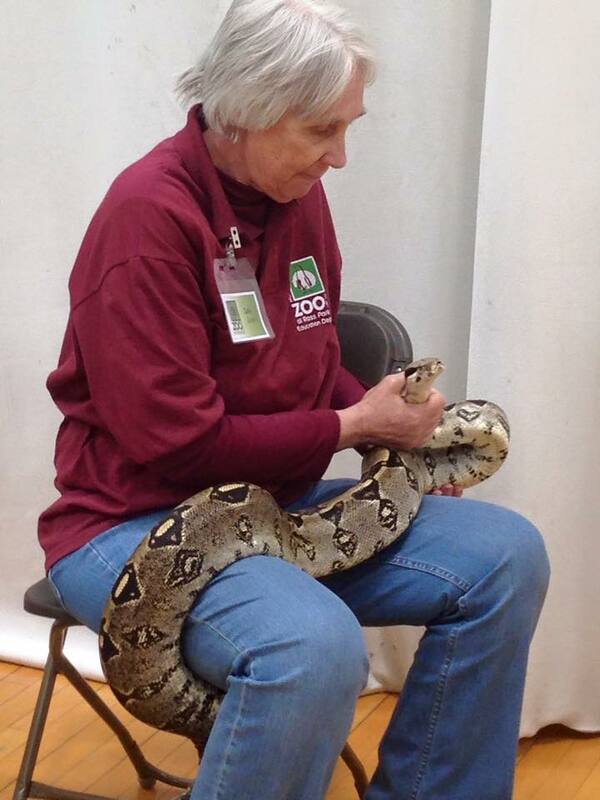 Children learned about exotic animals from the Binghamton Zoomobile and explored other hands on activities while the adults gathered information about solar energy and recycling. New activities included intricate bracelets made from bike chains to the calming effects of yoga and floating in Epsom salt.